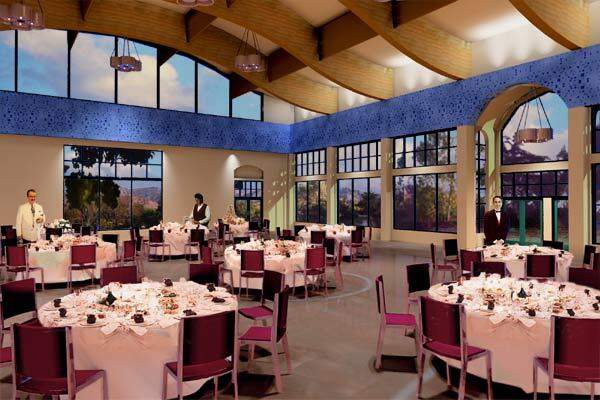 These renderings were created to communicate the need for, and benefits of, a new Fellowship Hall to the congregation of St. Anthony's church. The church building committee provided me with program information and a schematic site plan for the project. 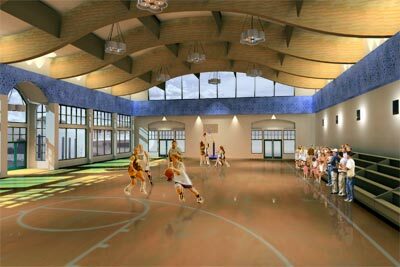 I developed both the design for the Hall and these renderings. A major goal of the renderings was to demonstrate that the building could successfully be used for functions as diverse as basketball games and wedding receptions. Architectural renderings, artist's visualizations, church fellowship hall, architectural, environmental, interior, lighting design. 3D Studio Max, Autocad, Lightscape modeling, models, renderings.